In the tropical waters of the Indian Ocean, there are waves the colour of precious sapphires and sparkling turquoises. 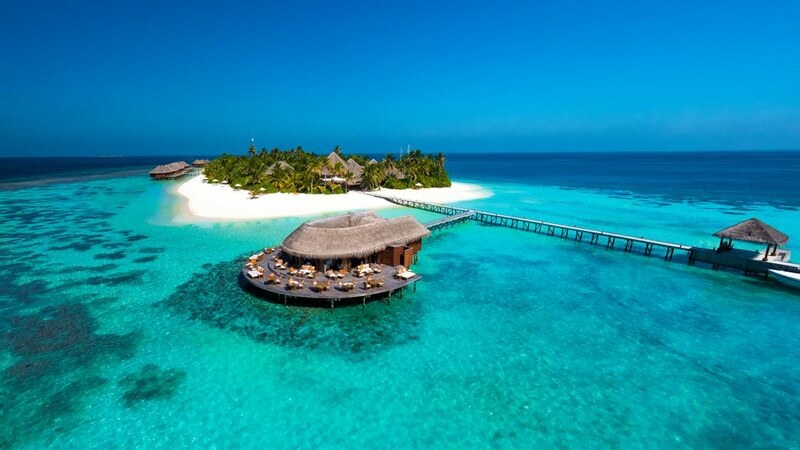 There lies the nation of the Maldives, where more than 1,000 coral islands make up some of the most beautiful beaches and diving destinations in the world. Whether you’re an adventure seeker, ocean explorer, or simply love relaxing on a pristine beach, the Maldives offers something for everyone. Boasting world-class snorkelling, diving and surfing, each of these islands is home to ethereal underwater realms. 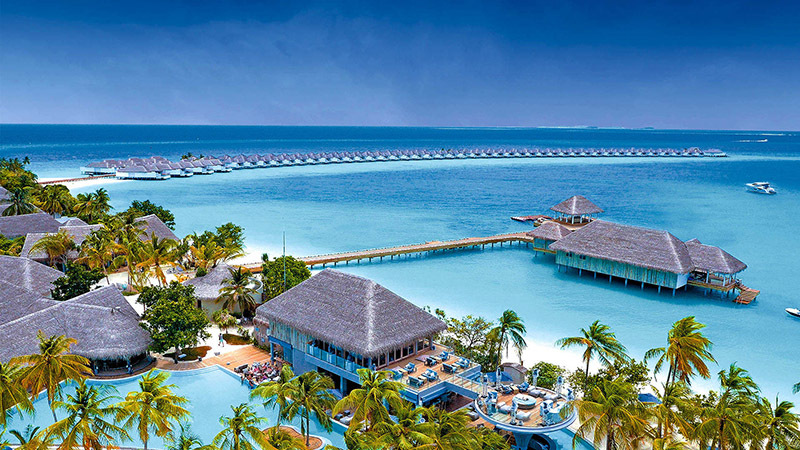 As a result, the resorts that call the Maldives home are some of the most luxurious in the world. Prepare to clear your schedule and pack your bags. 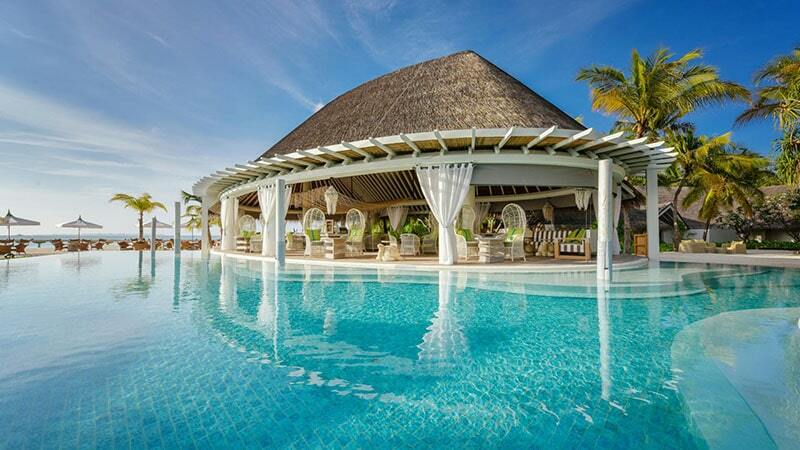 Here are the best luxury resorts in the Maldives that you will want to visit. For travellers looking for an ‘adults-only’ holiday, this exclusive resort is for guests aged 21 and above. 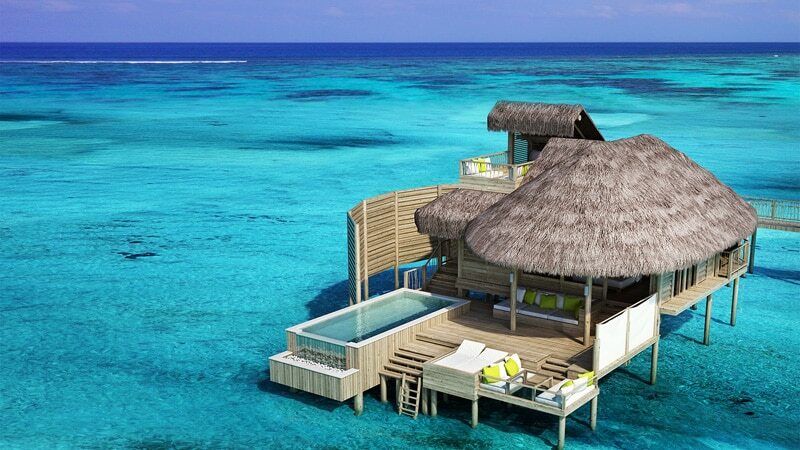 What sets Huvafen Fushi apart is the world’s first underwater spa called the Perl. 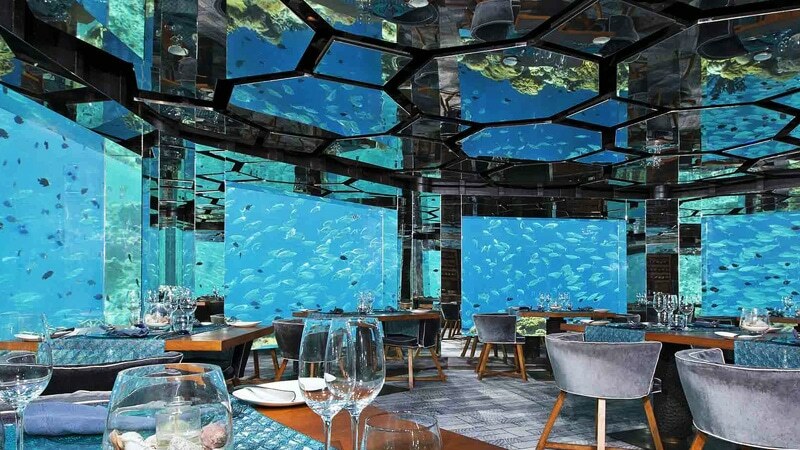 There, you can expect to see clownfish, stingrays and tropical fish swimming past the glass walls while you are enjoying a relaxation treatment of your choice. After your spa visit, spring back into action on a catamaran or kayak. Then, if you’re inspired to explore the blue waters yourself, let a marine biologist guide you through diving points such as Shark Point and Hambadhu Shipwreck. For lovers of the culinary arts, five, breathtaking restaurants are ready to be enjoyed. If you’re seeking relaxation, try the white sand and plush cushions of ‘Umbar’. Alternatively, experience an underground rare wine cellar at ‘Vinum’, Italian cuisine amongst coconut trees at ‘Forno’ or delectable Japanese cuisine at ‘Feeling Koi’. 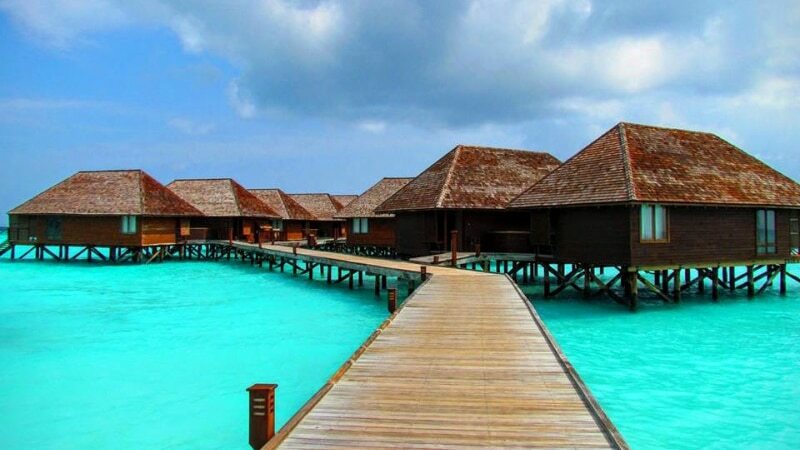 Those looking for a fun-filled holiday (complete with countless great Instagram shots) will fall in love with Finolhu. This stunning island resort features a chic retro luxury aesthetic, making it an incredibly cool and beautiful place to stay. Perfect for couples, families and friends, Finolhu offers something for everyone. If you’re looking to chill, you can visit the Cove Club for relaxation and rejuvenation, hit the beach or even take a nap while listening to the waves from your overwater or beachfront villa. If you’d prefer a unique experience on the beach, why not try the Finolhu Bubble which is available exclusively for romantic, one-night-only ‘Dream Eclipse’ experiences under the stars, from sunset to sunrise. There is also fun entertainment each night by performance creatives Area 51. Translating to mean ‘My Island Home’, Amilla Fushi is the type of luxury accommodation where you feel immediately at ease. An escape unlike any other, this intimate island resort provides the kind of idyllic lifestyle we all dream of. A world of bliss, relaxation and privacy, its stunning accommodation runs the gamut from whitewashed over-sea villas to sun-kissed beach houses. Of course, that’s not all there is to love. The food is also delightfully indulgent, and there’s no shortage of things to do. Whether you want to swim with marine life, get your heart pumping with water sports or relax at Javvu Spa and Sensora, you’ll have no problem satisfying your holiday desires. 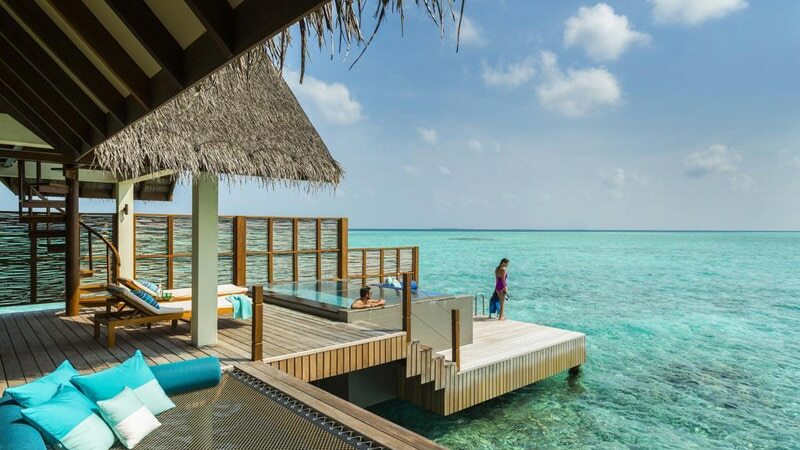 Travellers interested in wellness and relaxation or diving and underwater exploration will find their paradise at the Four Seasons Landaa Giravaaru. 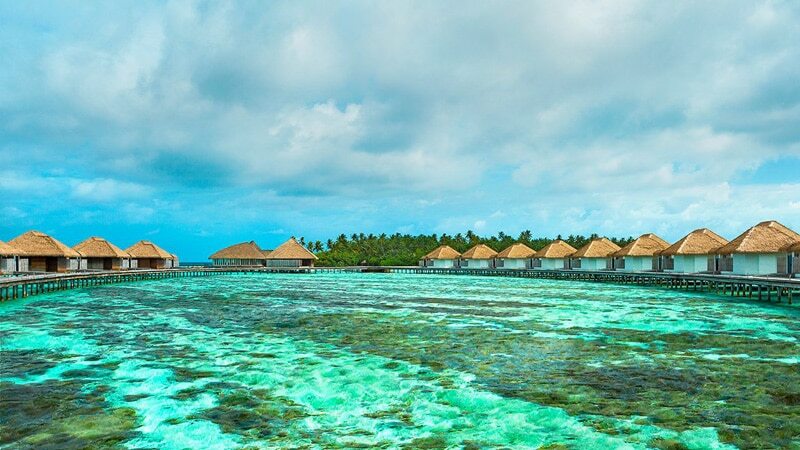 Located in the only UNESCO World Biosphere Reserve in the Maldives, the surrounding aquatic world is renowned as one of the world’s best diving destinations. If, however, you prefer to find your tranquillity upon the shores, the resort also boasts a one-hectare spa retreat. Emphasising natural healing, the retreat draws on the surrounding landscape. As a result, it offers dream spa treatments and soulful yoga classes. At the end of your day, indulge in Lebanese or Moroccan dishes on the rooftop, some Italian by the lagoon, or fresh seafood by the pool. Powder white sand, a turquoise lagoon and private, underwater reefs are all a part of Cocoa Island daily life. With 33 overwater suites, designed to resemble the local dhoni boats, this tranquil resort is the perfect intimate retreat. While there, indulge in the delicious fusions of Indian and Mediterranean cuisine, or nestle your feet in the sand at the beachside Faru Bar. From the early hours of the morning through to the star-studded nights, there are a host of activities to make your experience unforgettable. For adventure lovers looking to explore the reefs, there are turtle expedition snorkels, whale shark expeditions, diving and night snorkelling. 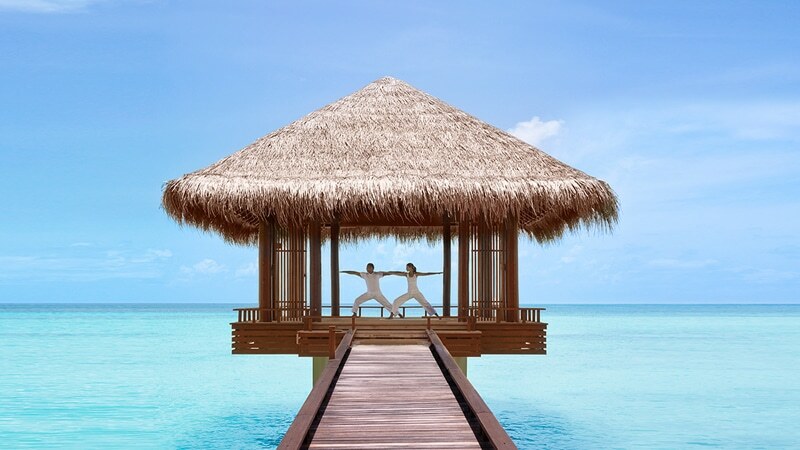 Above the water, take part in parasailing, windsurfing or sailing, or treat your soul to a session of open-air yoga. Finally, for couples seeking that extra alone time, a private catamaran snorkelling trip provides the ultimate romantic escape. From the mystical turquoise realm of the ocean below to the star-studded galaxies above, Anantara Kihavah transports guests to other realms. 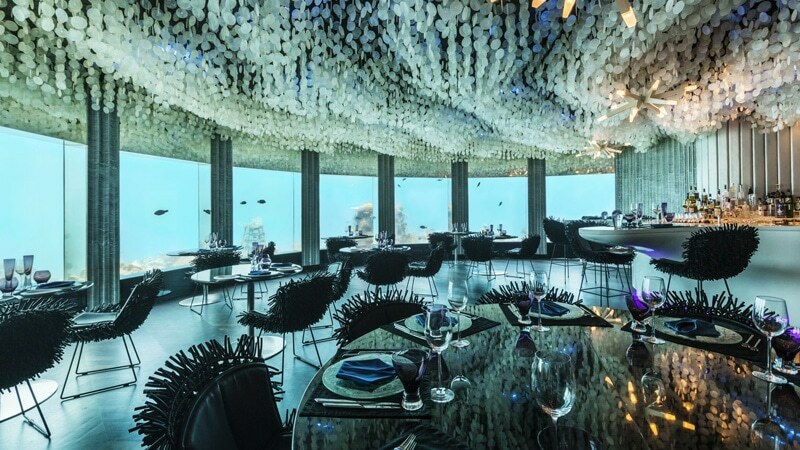 While there, indulge in the ultimate sensory experience as you dine amongst the ocean’s exotic creatures in the award-winning underwater restaurant. Then, on another night, watch the night sky unfold at the only overwater observatory in the Maldives, the SKY BAR. Home to a research grade 16” Meade LX200 telescope, this stunning cocktail bar comes complete with a resident astronomer, Ali Shameem. Experience the wonder of the universe as he shows you the rings of Saturn, the belts of Jupiter and the stars. By day, explore the surrounding UNESCO World Biosphere Reefs, which are home to colourful coral, playful turtles and darting eels. Whether you’re there to relax, snorkel, dive, or sail, ocean lovers will find their paradise at the Maldives’ W Retreat & Spa. 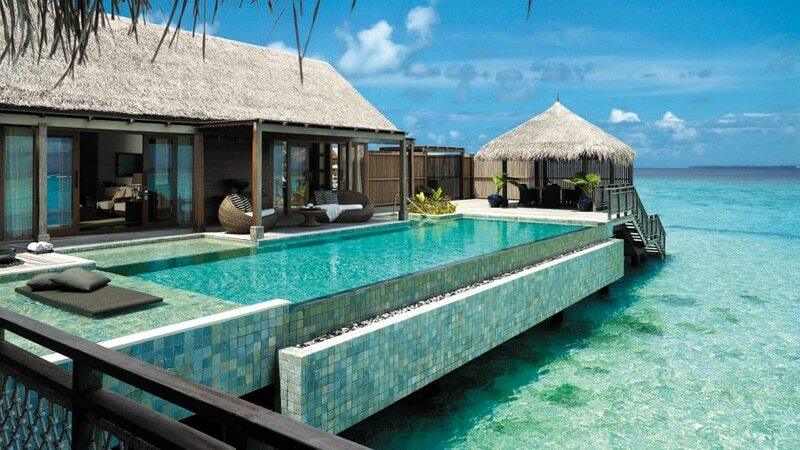 This 5-star resort encompasses 77 private villas, each with its own sun-soaked deck and plunge pool. From this decking, dive into the surrounding ocean, where hundreds of species of marine life are waiting to be discovered. Charming turtles, giant tuna, exotic fish and mysterious rays are just a few of the aquatic creatures you can expect to find. If, however, feeling brave, half and full day hammerhead and whale shark yacht trips are on offer. Finally, are you looking to learn some skills to take home to your family and friends? A personalised cooking class will have you creating traditional Maldivian dishes and grilling seafood like an expert in no time. Pamper your senses whilst still contributing to the sustainability and protection of the environment at the Six Senses Laamu. Not only does this stunning paradise offer world-class surfing and diving, picture perfect coral reefs and serene palm-lined beaches, but they also work to educate and protect their amazing environment and native creatures. Ultimately, sustainability is at the core of this resort. While there, participate in guided snorkel tours with a qualified marine biologist. As you swim with turtles, manta rays, and maybe even a dolphin or too, gain expert knowledge on how to protect the reef and its inhabitants. From May through to September, witness the incredible event of green and hawksbill sea turtles hatching on the beach by nightfall. Furthermore, Six Senses Laamu also engages in energy conservation, water production, waste reduction and the support of local islands. Located on a pristine private island, is the Park Hyatt Maldives Hadahaa. On this tropical oasis guests can relax in one of fifty private villas. Each of these luxurious spaces boasts floor to ceiling windows, private decks, and in some, a private plunge pool. As a result, whether you choose a room that lies amongst the lush greenery or is perched atop the sparkling ocean, you are destined for the ultimate, island getaway. Spend your days scuba diving in one of the world’s deepest atolls, or snorkel through shallow waters in the breathtaking coral reefs. As night falls, leave your shoes in your villa as you make your way to The Island Grill restaurant. There, watch the chefs create their culinary masterpieces while resting in swinging chairs and sinking your toes into the plush sand. If, this isn’t for you, don’t worry, several other incredible restaurants and private experiences await. 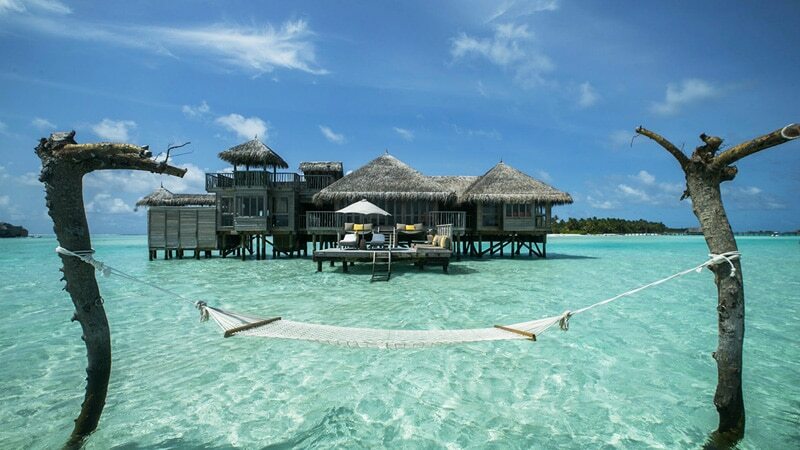 Rich with lush, natural greenery and surrounded by sparkling, sapphire lagoons, Gili Lankanfushi shines like a gem in the Indian Ocean. 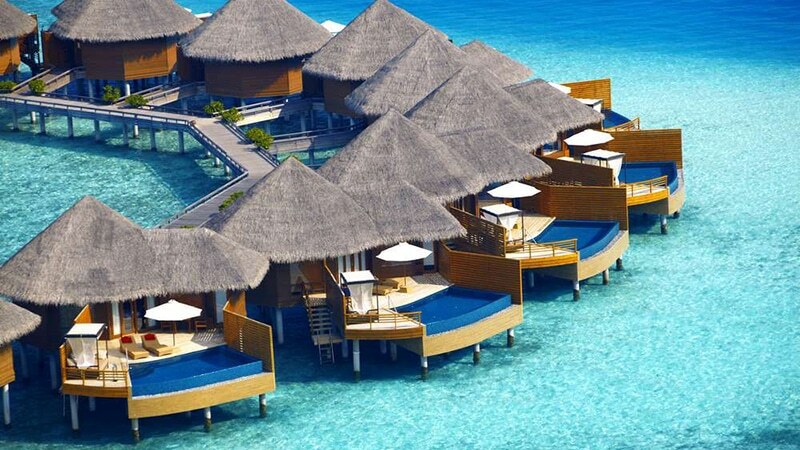 Encouraging visitors to preserve the natural beauty of the environment and move towards a zero-waste lifestyle, the luxury over-water villas are built from eco-friendly materials. While on the island, guests may take part in a range of unforgettable experiences. Explore the colourful reefs filled with turtles, rays, shimmering fish, and small sharks, guided by one of the resident marine biologists. Then, as the sky turns golden, enjoy a spectacular sunset dolphin cruise. For those, however, who prefer to remain on dry land, there are a myriad of options. A private, deserted island picnic, Maldivian cooking class, or a journey through the markets and mosques of the capital of Malé all await you. Whether you’re travelling as a couple, a family with children, or with the grandparents in tow, there is something for everyone at COMO Maalifushi. Fishing enthusiasts can take part in an evening of traditional Maldivian sunset bottom fishing, while the kids embark on a splash net and dolphin-watching cruise. If you’re looking to learn about the island’s incredible underwater world, marine biologists are ready to take you on an in-depth coral reef safari. Additionally, there are a host of watersport activities and lessons, dolphin cruises, as well as turtle and whale shark snorkels. If you’re looking for romance, whisk your beloved away to a private beach for the day with a romantic castaway picnic. Or, opt for the family castaway experience and create some incredible, lifelong memories with your children, parents or siblings. Whether you love sport, adventure, learning new skills, or simply relaxing, the One and Only Reethi Rah has you covered. 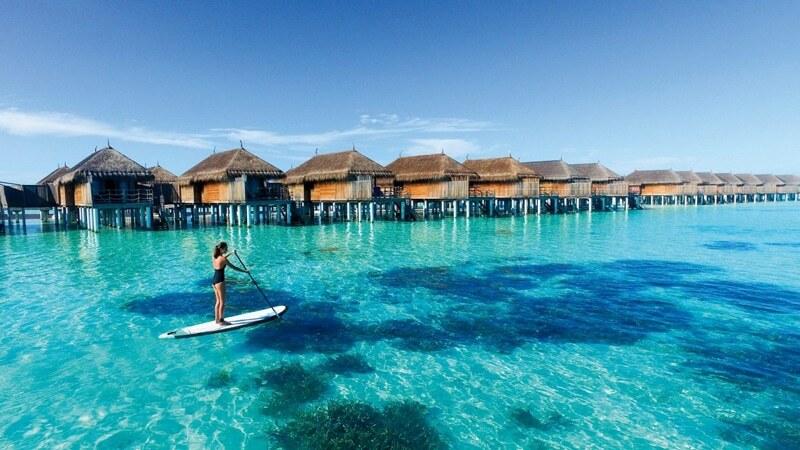 Located on one of the Maldives’ largest islands, there are a host of activities awaiting guests of all ages. From learning to paint with renowned artists, scaling challenging rock-climbing walls, or having a hit of tennis, this island has it all. Of course, traditional Maldivian activities such as diving and snorkelling are available in mystical reefs and mysterious wrecks. For action lovers, there is water-skiing, parasailing, and wake-boarding. Perhaps the best feature, however, is the vast range of activities for kids in their ‘Kidsonly’ club. As a result, while you enjoy a sensual massage at the spa, your little ones can learn to cook, make pottery or swim with turtles. Furthermore, the resort respects all guests by having one pool dedicated to adults and one for young families. For accommodation options catered to every individual desire, Cheval Blanc Randheli exceeds expectations. 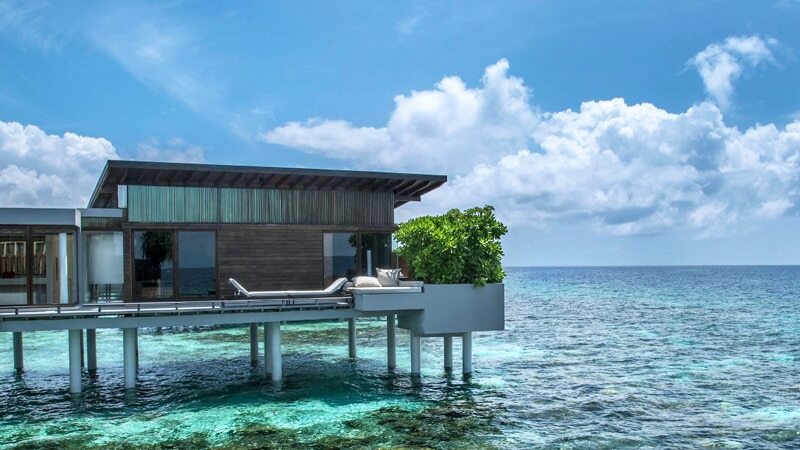 If you fantasize about sleeping to the sound of waves crashing, the Water or Lagoon Villas make dreams reality. 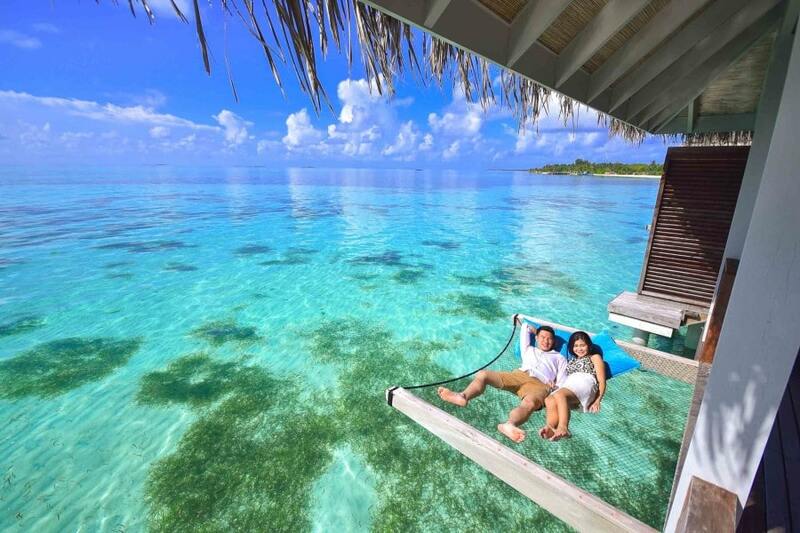 Perched on stilts, they feature breathtaking views across the Indian Ocean or turquoise lagoon. On the other hand, if you wish to immerse yourself in the island’s nature, the Garden Villas are nestled amongst the lush gardens. 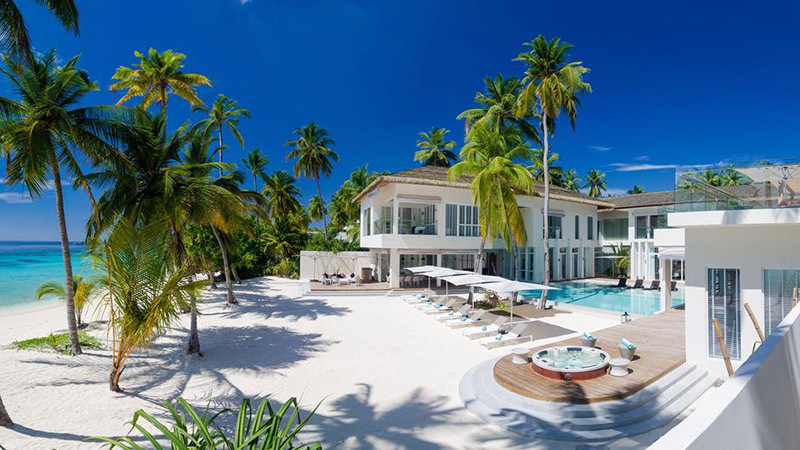 For a personally tailored experience, there are the Art de Recevoir villas. There, a team of expert ‘Alchemists’ are ready to create a unique schedule of experiences for your stay. Whether that includes visiting a Manta Ray nursery, dining upon a hidden sandbar, or taking part in private meditation lessons, these experts are there to create your perfect getaway. Finally, there is the Private Island Experience, where an exclusive four-bedroom villa with its own spa, outdoor pool, beach and gardens awaits. 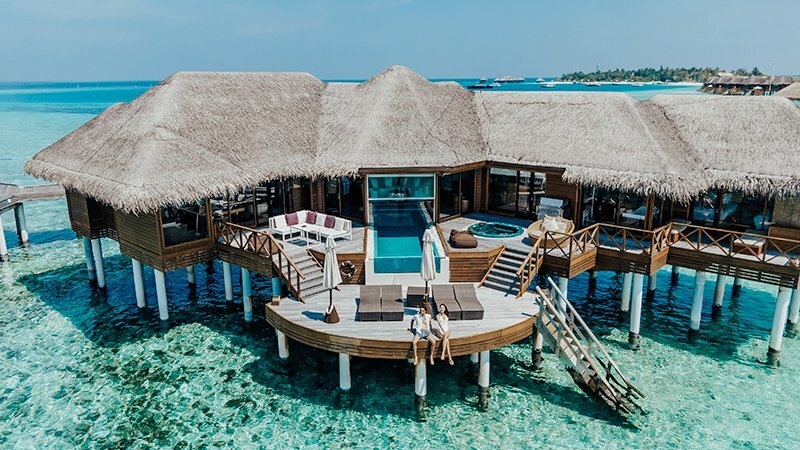 Combining the five-star resort pleasures with the relaxed, barefoot experience of island life, Soneva Fushi is one of the Maldives’ top destinations. By day, explore the reefs and diving sites of the surrounding Baa Atoll UNESCO World Biosphere Reserve. There, you can expect to find an incredibly diverse underwater experience. 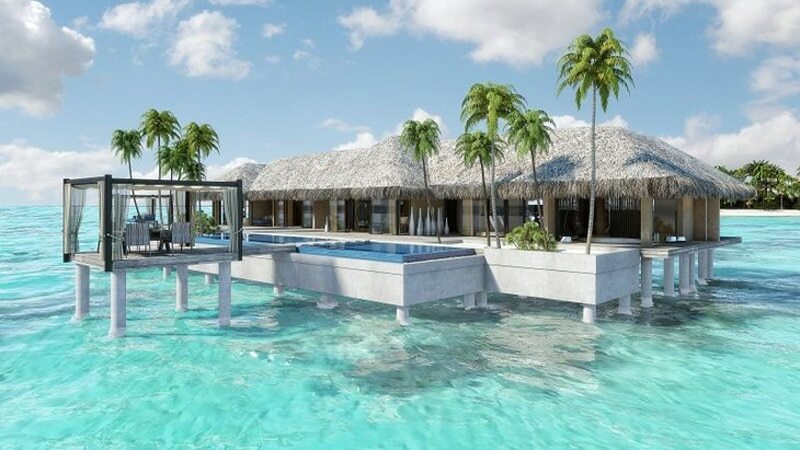 Alternatively, embark on a Robinson Crusoe Castaway Picnic at a nearby, uninhabited island, or relax at the hotel’s spa retreat. By night, gaze at the galaxies above through the state-of-the-art telescope at the Observatory. If under the light of the stars, you’re feeling adventurous, night snorkelling is available to avid explorers. In the dark waters, expect to find sleeping parrotfish, moray eels, lionfish, octopus and incredible, bioluminescent plankton. Contrarily, if you’re looking to relax, enjoy a delicious dinner in the jungle, by the light of the moon, or on a private sandbar, before heading over to the resort’s open-air cinema. 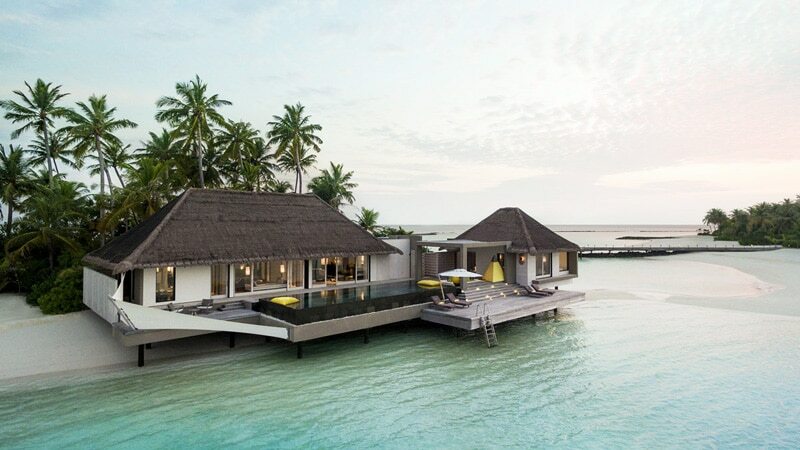 At the Shangri-La Villingili, guests spend their nights in decadent villas resting atop either sapphire ocean waves or the jade green jungle. While on the island, explore the natural beauties of the land, the sea and the local culture. While there is an extensive range of unique ocean experiences on offer, some of the most notable include deep sea fishing, glass bottom boat trips and magical snorkelling excursions. On dry land, navigate the luscious surrounding forests and nearby villages with bike tours and nature walks. If, however, a little R & R is your main vacation goal, prepare for complete serenity. There, experience the tranquillity of the spa, the simple pleasure of coconut leaf weaving or a meditative morning of yoga. Embracing and showcasing its pristine natural surroundings, the resort at Velaa Private Island is built amongst the sand, ocean and jungle. There, adrenaline-loving guests can play upon the sapphire waves on Weta trimarans, Topcat K1 catamarans and Sea Bobs. Alternatively, take to the sky with a parasailing or kitesurfing experience. Down below, the tranquil waters provide an underwater oasis, filled with some of the world’s most fascinating creatures. In particular, the nearby spectacular dive sites are home to majestic grey reef sharks, nurse sharks, eagle rays and more. 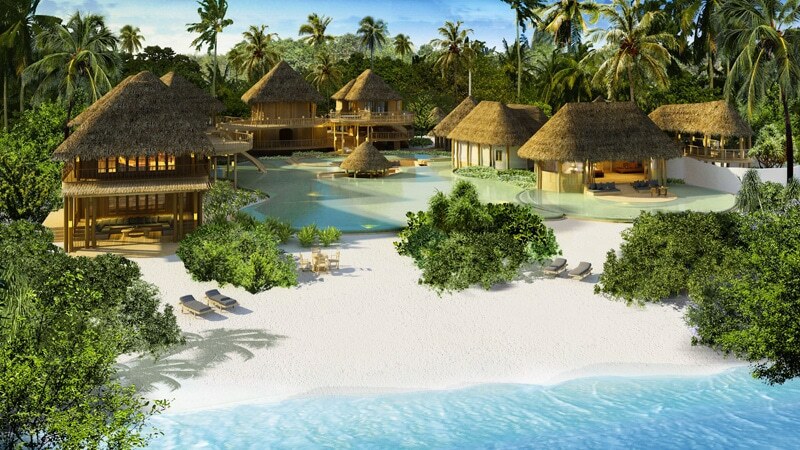 On a small coral island in the Indian Ocean lies the award-winning boutique Baros Maldives resort. This tranquil, island paradise is internationally renowned as one of the region’s most romantic resorts. As a result, it is the perfect destination for honeymooning couples or those seeking to renew their vows. For a private, unforgettable experience, spend the day sailing on the exclusive 16m long yacht, Serenity. Later, embark on a dazzling dolphin cruise as the sun sets. Alternatively, voyage on a traditional handcrafted Maldivian sailing dhoni or view the reef from above in a glass bottom boat. Finally, if you’re an avid fisherman or woman, this resort is made for you. Featuring big game fishing, fishing by twilight and a ‘catch your own dinner’ trip, there’s no doubt you’ll be reeling in catches to boast of back home. Recently renovated and reopened in December 2014, the Mirihi Island Resort seamlessly blends modern luxury with traditional Maldivian living. Located in the South Ari Atoll, this tiny pristine island, with jewel-toned waves lapping at its white shores, is a mere 350m long and 50m wide. As a result, this exclusive resort is home to only a small number of villas, thus ensuring privacy and seclusion. While there, take part in a whale shark seeking trip, a private sunrise fishing expedition or a sunset dolphin cruise. If you’re a sports lover but prefer to stay above sea level, the resort also offers a gym and yoga. Finally, as the sun sets, kick back on the sand with a private movie cinema set up beneath the stars. The hardest problem you will have to solve while at Constance Moofushi is simple. Would you rather relax in a luxurious villa on a blanket of white sand, or in one perching on stilts above a turquoise blue ocean? 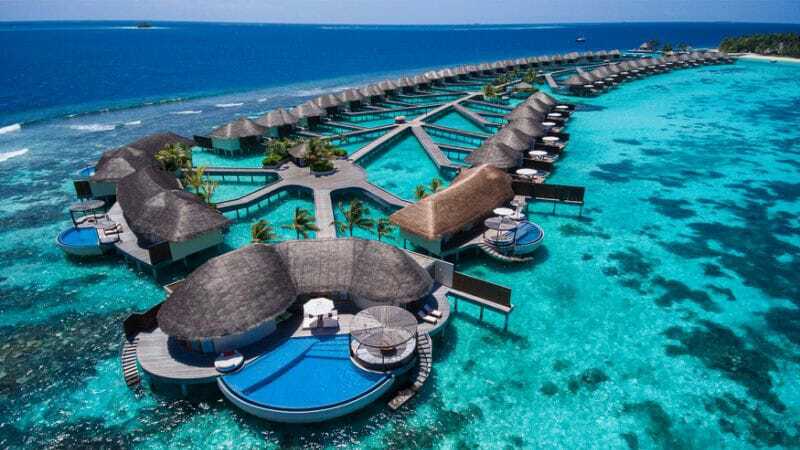 This stunning resort is located amidst one of the world’s best diving spots – the South Ari Atoll. Due to this, Constance Moofushi is a haven of exquisite, tropical marine life. While exploring the ocean, expect to encounter everything from stingrays and lionfish to migrating mantas and dolphins. After a day of diving at one of more than twenty expert diving points, indulge in the island’s fine cuisine. Dine at the world-class overwater restaurant, or feast on the beach with the pristine sand between your toes. Stretching across two miles of white sand beaches is the luxury resort of LUX South Ari Atoll. Boasting picture-perfect sights, this island paradise features spacious private villas on both the land and the ocean. Once you’re ready to leave the serenity of your room, a crystal underwater heaven lies at your doorstep. Although the surrounding ocean is undeniably a diver’s paradise, there are equally incredible experiences available for snorkelling fans. Afterwards, head back to the velvet sand for a game of tennis or a swim in the infinity pool. If relaxation is your main goal, then an afternoon at the spa will leave you as tranquil as the waves. 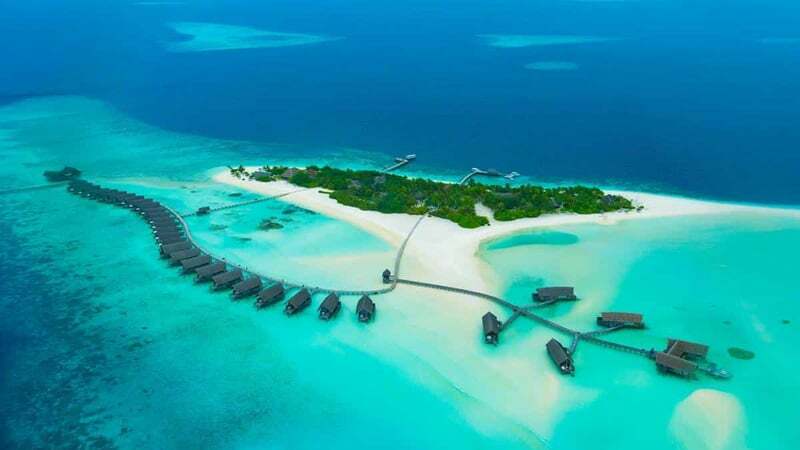 For travellers or honeymooners interested in diving, book a trip to the Veligandu Island Resort and Spa. This 600m long, 150m wide island is surrounded by sparkling clear waters and vibrant coral reefs. As a result, it is the perfect destination for divers seeking to improve their skills or beginners looking to learn. Boasting professional, certified PADI diving courses, there are options for everyone. If you’re a novice starting out, gain your certification in entry-level scuba or open water diving. Alternatively, more advanced underwater explorers can take part in one of the incredible speciality courses. These include drift diving, underwater navigation, night diving, and deep diving, as well as digital underwater photography and more. Once you resurface, relax with a treatment at the spa or fly over the Maldives in a seaplane. Finally, as the sun sets, feast at one of the gourmet restaurants and admire the view.